It is an initiative by the Singapore Olympic Foundation (SOF) to raise fund to help financially challenged kids with good sporting potentials to fulfill their dreams that will see La Liga powerhouses Atlético Madrid in town next month to showcase some of those Spanish flairs that captivated football fans around the world, ever since the fever pitch hit a high worldwide when Spain won the 2010 FIFA World Cup in South Africa. 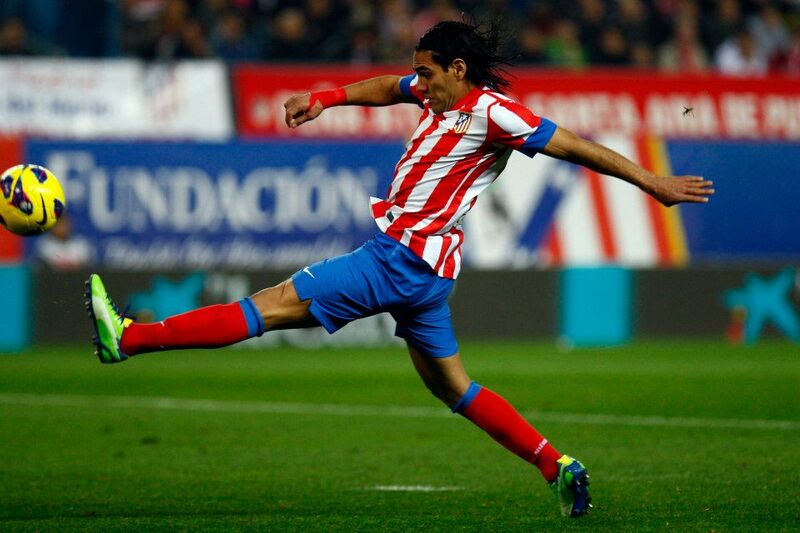 To show their full support behind this charitable cause, the Los Rojiblancos has confirmed that they will be bringing all their first-team players to Singapore for Singapore Olympic Foundation - Peter Lim Charity Cup . All ticket proceeds from their match against the Singapore Selection will go towards the SOF - Peter Lim Scholarship that provides the financial needs for those promising youngsters. 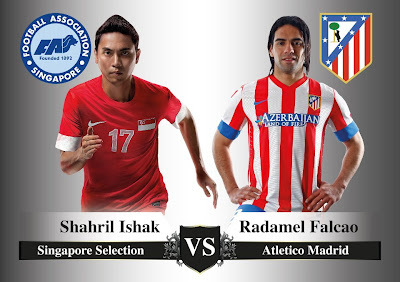 Not only local football fans can help in being part of this cause that allows them to catch players like Colombian superstar Radamel Falcao in action against some of our best footballers by turning out at Jalan Besar Stadium , they will also stand a chance to catch Atlético Madrid live in action against Barcelona in the next La Liga season. It is a sweetener thrown in by the organizers with the winning fan going to walk away with the much-coveted pair of match-tickets also come with a pair of complimentary return economy-class plane tickets and paid 3-days-2-nights accommodation. As part of the pre-match sports entertainment for fans, our former Lions will also be playing their part in supporting the Singapore Olympic Foundation when they play in the curtain raiser match against Singapore Celebrities at 6:20pm. Some of the former national players from the era of 1980s to 90s who will be making appearances in the curtain-raiser that include Terry Pathmanathan, V Sundrammoorthy, Malek Awab, Leong Kok Fann and Lim Tong Hai. 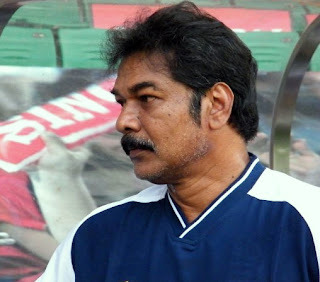 The team will be managed by ex national captain Samad Allapitchay with the assistance from 70s legend Quah Kim Song and S Rajagopal from the touch lines. When invited to play in this special match, another former Lions skipper Pathmanathan said:"I am looking forward to teaming up with my fellow former Lions and do our part for the Singapore Olympic Foundation's scholarship. "Such initiatives will help our young aspiring youths, especially those from poor families, who dream of representing Singapore in sports, to realise their dreams one day. I strongly encourage fans to purchase their tickets early and help our young athletes as all ticket proceeds will go towards the scholarships." Tickets are on sale now at TicketBooth and fans can keep themselves update of this event by "LIKE" the event's FACEBOOK Page, both links can be access via the links below.